Abu Dhabi, UAE – 28 September 2016 – The distinguished VIP Programme at the Abu Dhabi International Petroleum Exhibition and Conference (ADIPEC 2016) is coming back stronger than ever this year, bringing a series of high-level speakers to the UAE capital in November to share their insights on critical industry topics shaping the future of energy. Held across the four days of ADIPEC, the 2016 VIP Programme takes place in a purpose-built dedicated theatre and caters to the members of the prestigious Middle East Petroleum Club (MEPC), the definitive networking and knowledge-exchange platform for senior oil and gas executives. The programme invites industry officials and decision makers to engage in open dialogue with MEPC members through a series of ‘An audience with…’ discussions and Executive Dialogues in the controlled privacy of the club. This year’s programme will include an exclusive OPEC industry briefing by H.E. Mohammed Barkindo, OPEC Secretary General, and Ahmed Al Kaabi, UAE OPEC Governor and the Assistant Undersecretary for Petroleum, Gas and Mineral Resources at the UAE Ministry of Energy, offering their expert insights on the world outlook for oil. 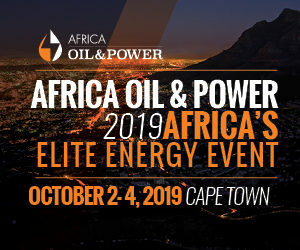 The highly anticipated discussion will assess the state of the oil market, looking at the delicate balance between supply and demand in line with contracting economies and tighter emission regulations. It will also offer clarity on the challenges that lie ahead for the industry, and encourage dialogue between producers and consumers. Also headlining this year’s agenda is H.E. Suhail Mohamed Al Mazrouei, UAE Minister of Energy, who will be shedding light on the nation’s future energy vision, which is committed to including both traditional and renewable energy forms. H.E. Tarek El Molla, Minister of Petroleum and Mineral Resources for Egypt – the largest oil producing country in Africa outside OPEC – will also present his insights on Egypt’s ambitious goals for the energy sector and the nation’s strategy for encouraging international investment and balancing supply demand subsidies. Topics scheduled for discussion will cover issues high on the agenda of C-Suite members, including effective leadership strategies amid an evolving energy landscape and challenging business climate. Drawing parallels between the military and business worlds, General Sir Richard Shirreff, Deputy Supreme Allied Commander for NATO Europe (2011-2014), will share his insights on the importance of partnerships, collaborations, and international relations in times of conflict and economic difficulty. “While the fundamentals of leadership have remained the same, what has changed is the intricate nature of the environment we work in,” Gen Shirreff said. 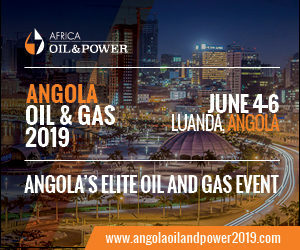 After his highly acclaimed participation last year, celebrated oil expert Dr. Daniel Yergin, Vice Chairman of the industry consulting group IHS Markit, will be returning to the MEPC to offer his latest academic views on today’s global energy markets, politics, and economics. With a strong track record of promoting cross-industry collaboration and best practice, the VIP Programme will also invite F1 Grand Prix Motor Racing Executive, Mark Gallagher, to the stage for a live Q&A discussion on how risk management and teamwork skills on the racetrack can be adapted for the boardroom. The one-hour Executive Dialogues will also include discussions on underwriting the new energy landscape, decarbonising the future energy mix, the emerging role of gas as the clean alternative of choice, and fracking and its environmental impacts. Established as the world’s most influential exhibition and conference for the oil and gas industry, ADIPEC brings globally celebrated luminaries, experts, and decision makers under one roof to discuss challenges and opportunities in the energy sector. The annual four-day event will take place from 7-10 November 2016 at the Abu Dhabi National Exhibition Centre (ADNEC).